Should you find yourself with a limp, we're here to help with crutches and all the accessories needed. Crutches come in a variety of sizes and models. 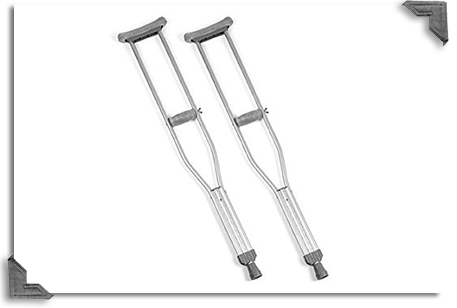 Contact our Home Medical Equipment staff today to request more information about crutches.